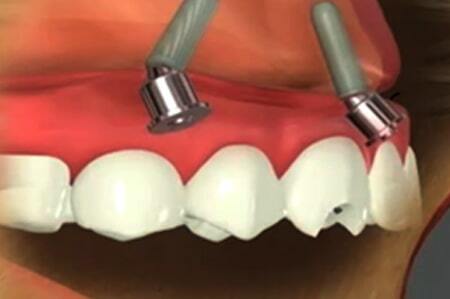 The term 'ALL-ON-4' refers to the replacement of ALL teeth ON FOUR dental implants, which support them. It is a modern technique where the back implants are tilted 45º to provide the required support for total rehabilitation. The tilting the back of implants helps overcome bone deficiencies often found in the back of the jaws and most often avoids the need for bone grafting. 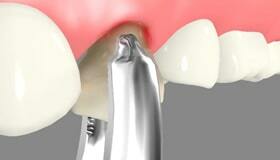 Since fewer implants are used by comparison to older methods, there is less in the way of achieving optimal results. It also allows for simpler long-term maintenance and uncomplicated cleaning. Dental implants themselves are small titanium fixtures that are inserted into the jawbone and have, for a long time, been used to support a tooth or a ‘Bridge’ of a segment of teeth. The fixtures form the foundation for the prosthetic replacement teeth. However, when we replace a full set of teeth, often referred to as full arch rehabilitation, whether in the upper or lower jaws or both, we do not need to place an implant under every tooth. We place 2 implants in the front of the arch and 2 in the back at an intended angle, and together these form the required foundation to support the prosthesis. By placing the implants at an angle, we are able to avoid the parts of the jawbone that are of a typically poor quality. This not only means that we can avoid the need for bone grafting, but we can also rely on these to reliably support a prosthesis fitted within days of the surgery. By using fewer dental implants to support the prosthesis there is a smaller number of components, thus more versatility to design the most optimal function and aesthetics. Importantly there is also less in the way of cleaning, which helps simplify the hygiene and maintenance over time. 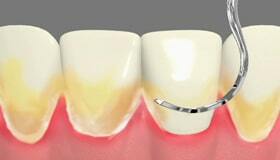 This procedure is the most common treatment in our dental clinic today for full arch rehabilitation and when appropriate it is often suitable for all lower jaws and most uppers. But even in Upper cases with extremely poor quality or quantity of bone, at the Smile Guru Office. 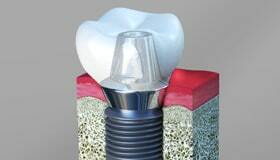 We can still offer reliable and streamlined immediate solutions using our own All On 4 implant treatments. Make an appointment today to explore your options or send us an email with your inquiry. 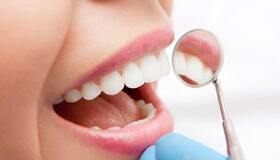 Visit our office with your family and speak to our dentist who will be glad to hear from you. 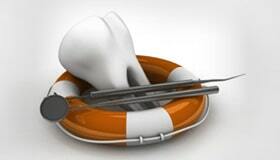 Experience quality dental care provided by an expert team. We noticed that you may have an Ad Blocker turned on. Please be aware that our site is best experienced with Ad Blocker turned off.